Chai : tea, in Hindi. 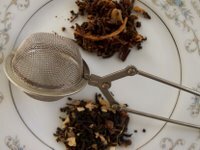 Masala chai : spiced tea. I bought a few ounces of loose masala chai from a local grocery store. The steeped tea was delicious with whole milk (no sugar). Before steeping, it was difficult to identify most of the ingredients, though I guessed there would be cardamon and cinnamon. I am not sure if chocolate was added, but the steeped tea tasted like a slightly smoked and nutty milk chocolate (like the Scharffen Berger 41% cacao milk chocolate). 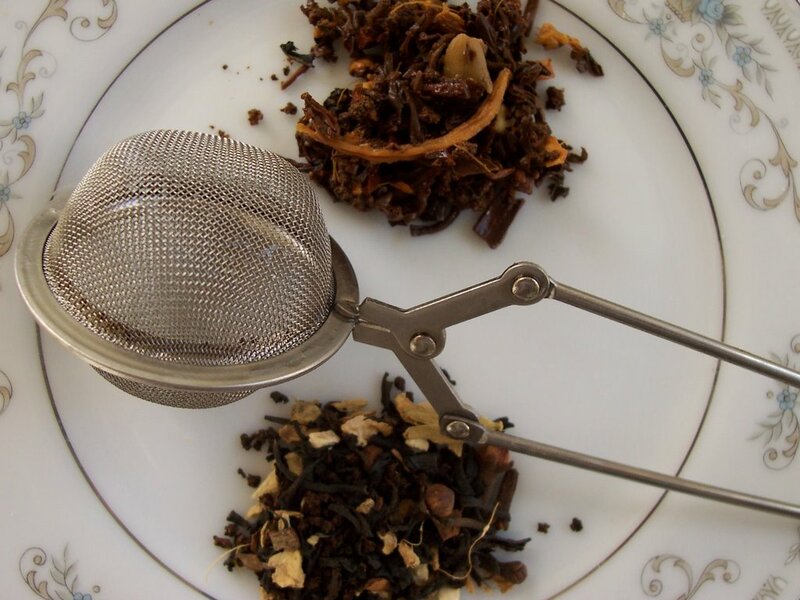 After steeping, I juxtasposed a serving each of the dry loose tea and the wet tea, and the ingredients are readily evident in the latter. See Candy Blog's review of the Scharffen Berger gianduja bar.